The explosive final chapter begins! In the aftermath of Before the After's shocking cliffhanger, the team are imprisoned by a brutal despot, the last surviving member of pre-apocalypse Chicago's notorious political machine. 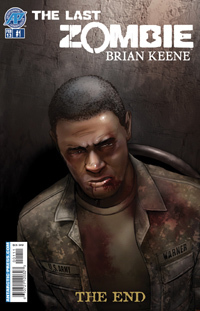 Warner faces torture, Planters is on the run, and time is running out for everyone—especially Ian, who is succumbing to the zombie virus raging through his veins. 26 pages of undeath-defying thrills!